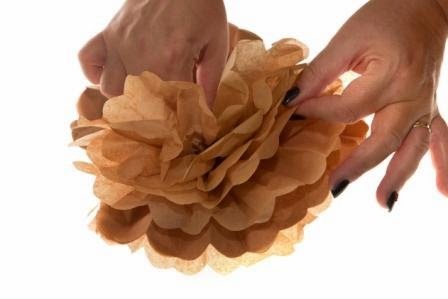 The pom poms are pre folded and ready- made for you, we have even added the clear nylon thread for you as well; all you need to do is separate each tissue paper sheet. 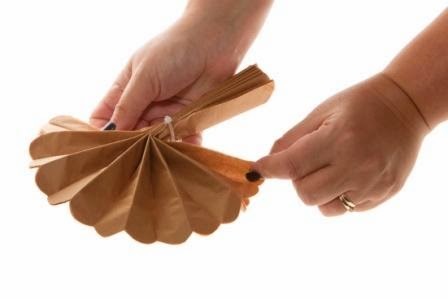 Firstly, spread out one end of the flat pom poms, it will look like a concertina. You need to work on one end at a time. TOP TIP: To make life a little easier, I find sitting the pom pom on a table top or on your lap makes it easier to separate the paper sheets. 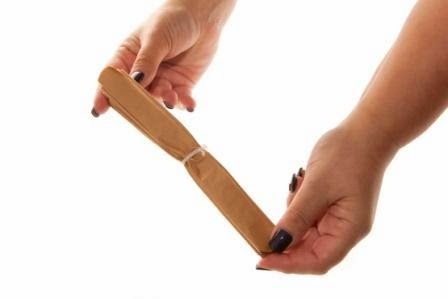 Keep pulling each layer apart from the other– (there are 10 layer in total) all you need to do is separate each tissue paper sheet, by pulling it down away from the other layers until they are all separate. Keep going until the first half is complete. Then complete the same actions again for the second side. 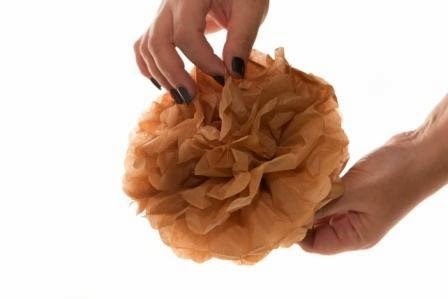 Once you have completed separating the layers on both sides, ruffle or lightly scrunch the inner layers, so the pom pom is completely round and ruffled with no gaps. That’s it – your done... pull up the clear twine and all you need to do is find somewhere amazing to hang them! 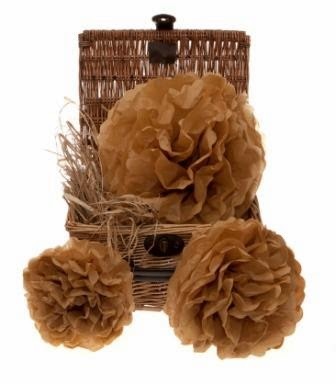 We sell the tissue pompom kits on our website in kraft and vintage cream at the moment, pastel range coming soon! !